Maturity within 75days - 80days after transplanting. Early vegetable. 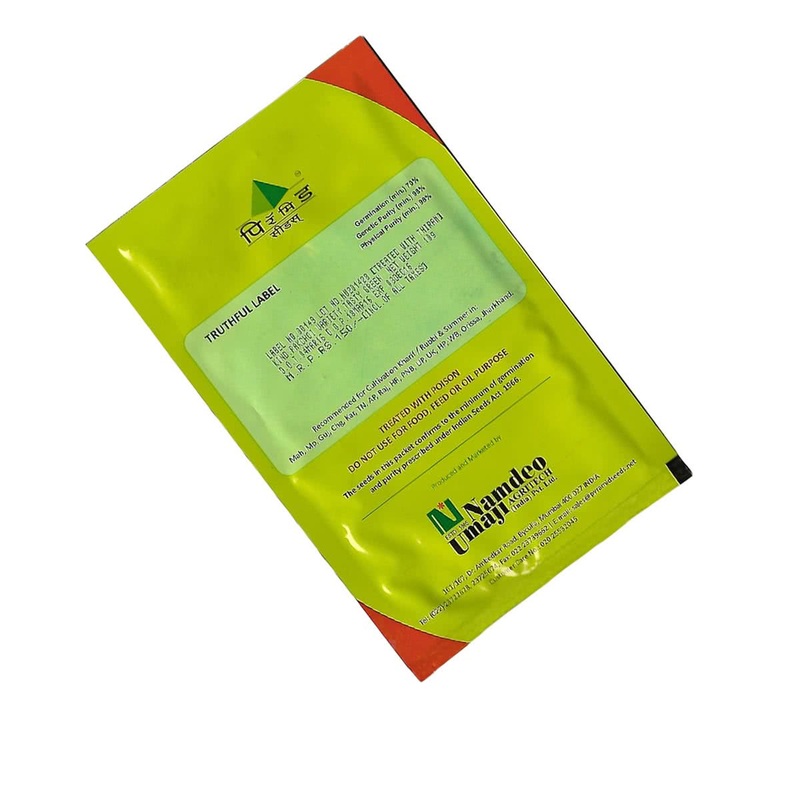 Tolerance to virus, fusarium, and cold. 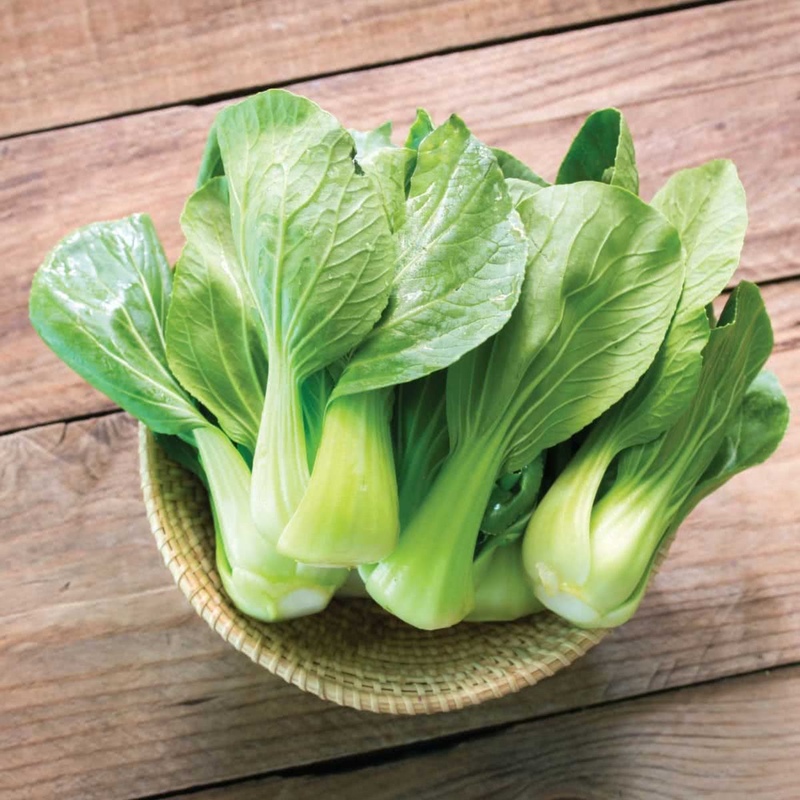 Introduction and Uses: Pak choi is also referred as Chinese Cabbage, Bok Choi or Nappa. It is rich in nutrients that are essential for the body, health, skin and hair. Its crinkly leaves with white veins are rich in an array of vital vitamins and nutrients. Sowing Season: Monsoon and best grown in winter. Because the seeds are small in size, Pakchoi plant is grown by transplantation method. Seeds are first sown indoors in seedling trays or outdoors on seed beds & later the seedlings are transplanted into the container or in raised beds. Hold the Pakchoi seeds and sow 2-3 seeds per cell/cup. 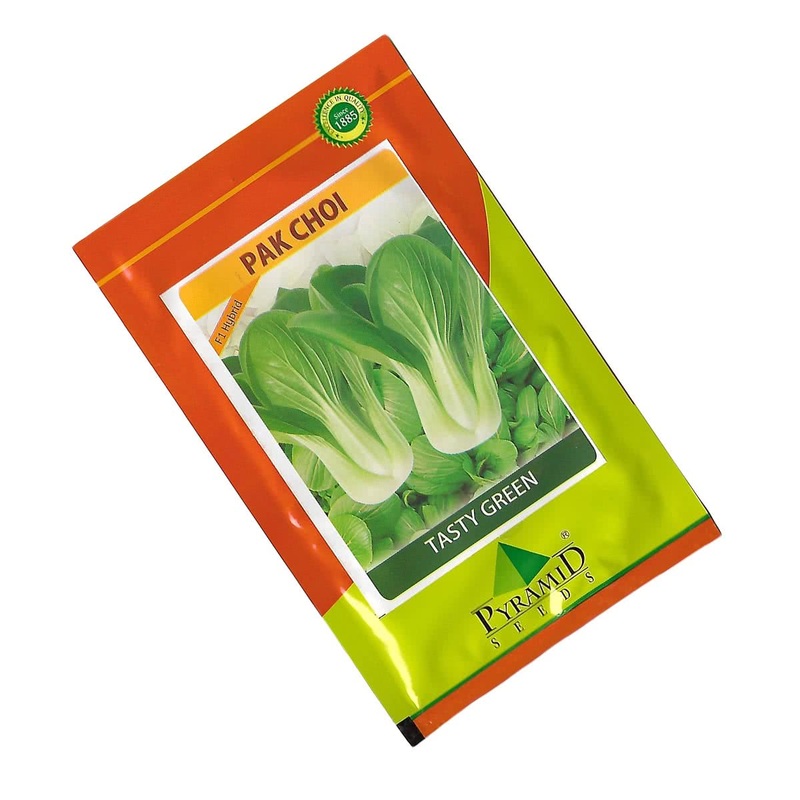 Since Pakchoi seeds are small in size, do not sow them deep. Spacing: Plant the seedlings minimum 1 feet apart (30x30 cm), from each other on raised beds or in a container. Sunlight: Pakchoi grows well under full sunlight in winter. So place your containers accordingly. Watering: Water your potted Pakchoi plant every alternate day in winter. Water at the soil near the plant. Use a watering can and make sure that the plants get water in the form of the shower & not by a single flow. You can also make provision for watering by drip irrigation system for your raised beds. Avoid overwatering. Microgreens: If you plan to grow micro greens Pakchoi, grow it indoors in flat containers. Sow-scatter the seeds in a crowded manner. You can harvest it in 10-15 days by uprooting baby plants. Harvesting: (60-70 days from seed sowing) 35 to 40 days after transplantation, Pak Choi will be ready to harvest. Harvest Pak Choi leaves by cutting from the base. Leaves can be harvested as long as cool climate persists. Approx. 2 - 3 ton/Acre.